Someone I love was in need of a place to rent and not in a position to buy what she thought was a bargain house in the town where she works. She told me about the property as a "by the way" kind of a conversation, but I was too fascinated. I decided to buy it without even thinking harder and sleeping on the decision. I never give myself time to sleep on decisions... I should learn to do that. How sweet is a property deal that comes with a tenant? The property itself reminds me of the old SA style houses with large verandas/stoep. The houses I loved as a child and still love today. I fell inlove with it. Remember I only saw its exterior from the cellphone photo and had the erf size and number of rooms. The house is in one of South Africa's very small towns. These towns are often overlooked and have rental shortages at times. This one small town is exactly like that. You may find that many people who work in these small towns have homes of their own elsewhere, like my tenant. It also offers me with the location diversification factor. The Rate of Returns looked OK. Not great, not bad, just fine. Left as it is, it will yield just above 10% returns in year 1. That is definitely not bad. I am also convinced, after some comparable research that this property is worth more than the asking price. The Measure of Risk: This is a freestanding house, no home owners association and bad debt to deal with; there is a strong level of occupancy history; its also cheap enough for me to take the risk. The erf is big enough for an extension and additions to the existing structure. I plan to add one multi-unit structure to make this a multiple family rental property. Its a norm in this small town. (Dealing with the municipality to do this must be a nightmare). Location, Location, Location - is great, next to a really good former Model C school. I always make lists like that in my head before committing to buying a rental property. There is a few negatives though. The rental escalation will be very low. This investment will take half of my emergency fund and have me 33% less than my target EF. I can live with that. This is a cash deal, thank God. I have no energy to deal with the banks at the moment. 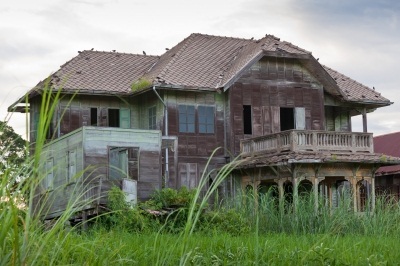 Another big negative is that the seller is a daughter selling the property on behalf of the deceased mother's estate. That's always a long process, especially if someone, like a sibling challenges that. The last deal of a similar nature died a slow and painful death. Proof of payment for the estimated property registration/transfer legal fees. I added a note that this money should please be invested on my behalf in the interest bearing account. I cant take it for granted that lawyers will do that. Proof that I do have the cash which covers the purchase price of the property. Proof of my SARS reference number. I was never asked for this proof before. Only the reference number itself. Proof of my residential address for FICA purposes. As you can imagine, I am tired of scans, faxes, emails, and the rest of this fancy equipment. The waiting game now begins. I already accepted that the process may take longer than the norm. I just hope not too long. Is it normal to be this excited every time one is buying a rental property, or its just my craziness? Hi CMWYWEC, I love your blog and thanks for stopping by. Let me convert to dollars. I'm paying $21000 but will need a further R37500 to develop it into a 4 plex. That will give me about $1250/ month. Its a low income small town.